This was my 2nd shot at painting and i felt quite happy with the results, though i still believe that my first painting was a lot better. I still feel happy with the work. This painting is an insight to how our ancestors used to study and increase their knowledge to prevail it and how millions of children still study in countries with no electricity or constant load shedding. The light is a meaning for hope, and the light from the candle is the hope for them to increase their knowledge at night which is being referred as the dark. That's all, Thanks. 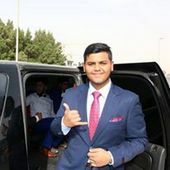 I'm currently a high school student from Bangladesh, living in Dubai, united Arab Emirates. I'm 16 years old and my name is Md. Azim Uddin. After studies and sports, i have many hobbies that i like doing in my past-time. Art is one of them, especially drawing and painting. I m an amateur in painting (at least that's what i think), as i started not so long ago and i like copying cartoon characters and actual scenery from photos in my drawings. That's all!